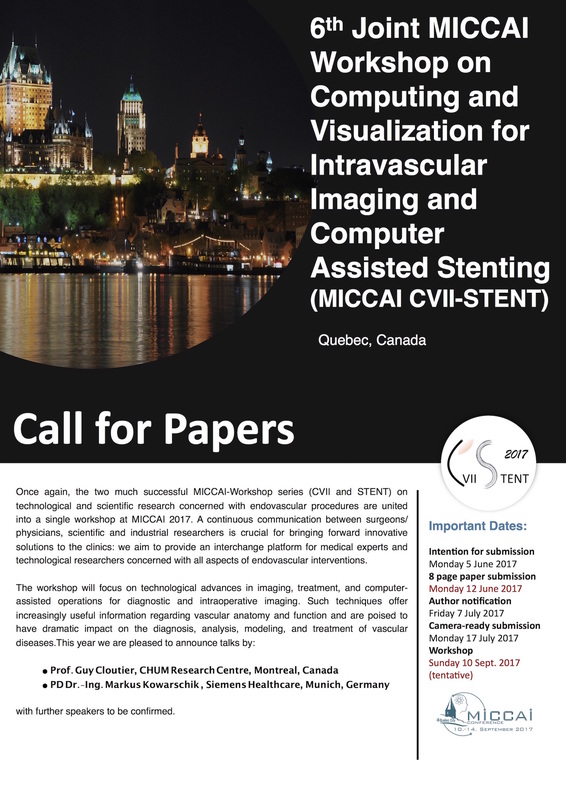 Once again, the two very successful MICCAI-Workshop series (CVII and STENT) on technological and scientific research concerned with endovascular procedures are brought together into a single workshop at MICCAI 2017. A continuous communication between surgeons/physicians and scientific and industrial researchers is crucial for bringing forward innovative solutions to the clinics: we aim to provide an interchange platform for medical experts and technological researchers concerned with all aspects of endovascular interventions. The workshop will focus on imaging, treatment and computed assisted technological advances in diagnostic and intraoperative imaging. 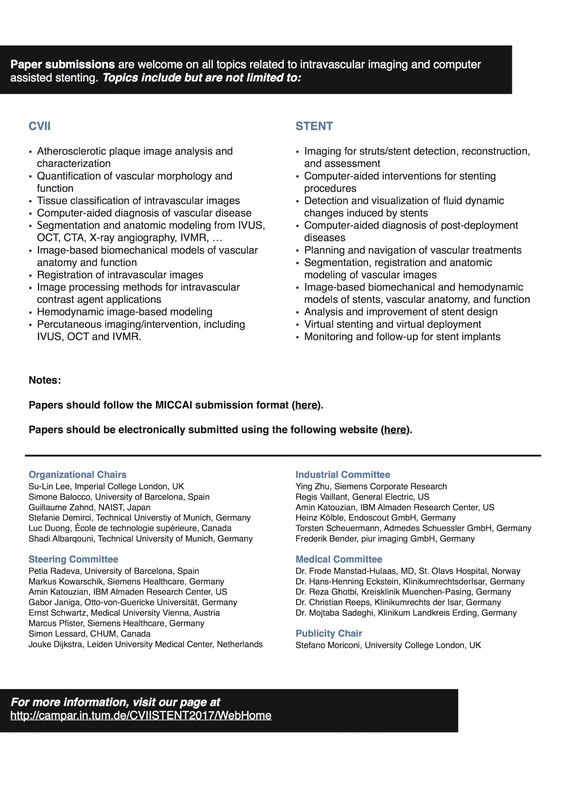 Such techniques offer increasingly useful information regarding vascular anatomy and function and are poised to have dramatic impact on the diagnosis, analysis, modeling, and treatment of vascular diseases. July 24, 2017: No poster session this year. 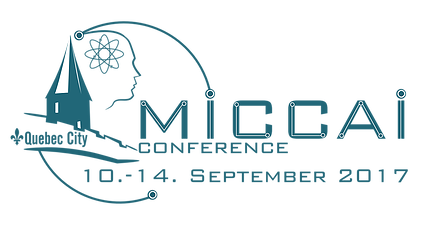 All papers are accepted as oral presentations (15 mins + 5 mins Q/A). February 15, 2017: Website is launched! 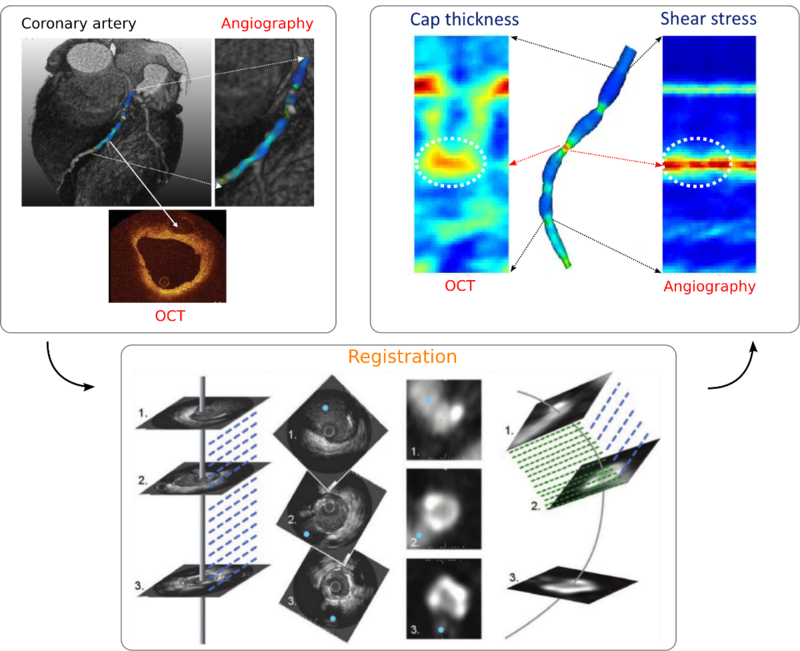 Segmentation and anatomic modeling from IVUS, OCT, CTA, X­‐ray angiography, IVMR, etc.